Mark Russell is a businessman, a scholar and a seminary trainer minister. His passion is for bringing values to people and His Kingdom through business as mission. He put his passion into a book, titled "The Missional Entrepreneur: Principles and Practices for Business as Mission." It is a book that is a must-read for anyone who is interested in serving the Lord and His Kingdom through business as mission. Thus, SfK Newsletter is going to share some excerpts from his book going forward. 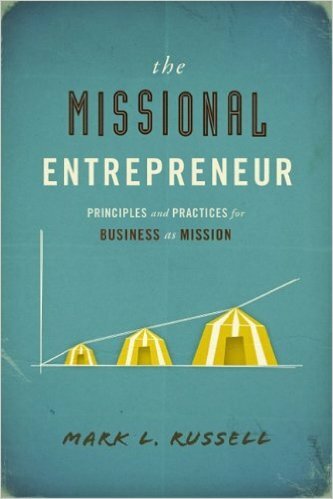 That is why I am happy to recommend Mark L. Russell's The Missional Entrepreneur. 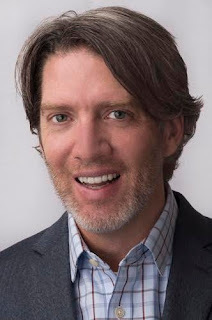 Russell serves as a reliable instructor for Christian men and women in the business world who wish to use their career and influence for God's glory and the advancement of Jesus's mission. Indeed, there are few books that address the everyday issue of how to make much of Christ in one's vocation. One of the blessings of the Protestant Reformation was a renewed emphasis on this concept—living out one's vocatio (vocation) to the glory of God. For the reformers, there was no separation between the secular world and the spiritual world. They believed that one's vocation was his or her special calling. Thus, one could be called to do a variety of things, but each person was to have the great aim of glorifying God in those respected fields of service. Following the line of the reformers, Dutch theologian Abraham Kuyper much later stated, “There is not a square inch in the whole domain of our human existence over which Christ, who is Sovereign over all, does not cry, ‘Mine! '”1 And so, as Christ is Lord over all things, it is definitely worth our time to carefully meditate on how to glorify God in the area of work to which He has called us. Recently I conducted a research survey at a large church in the southeastern US. The results showed that 74 percent of the respondents saw little to no connection between their faith and their job. Of those who saw a connection, 64 percent were employees of a religious institution. Only 11 percent of respondents with a job in a nonreligious organization saw a connection between their faith and their employment. Furthermore, even those 11 percent reported a lack of confidence and fulfillment in their ability to integrate their faith at work. Based upon this research, Russell goes on to assert, “It seems that church leaders are not teaching their congregations how to integrate their faith and their job.” As a pastor, I do not take offense to this. Instead, I rejoice that someone is writing about it, because it seems to be so true. While I have preached more than once on “a biblical perspective of work,” I have longed for a book to put in the hands of our businessmen and women in order to help them use their “tentmaking” job for the good of the kingdom. Thanks for your ever-so-needed resource, Mark. May God continue to stir up the hearts of His people to live missional lives for His glory and the good of the lost world.